This summer has been incredible. I spent all of July and most of August galavanting around the UK, Germany, and Italy. Most of these trips were quite literally dreams come true. A trip to Berlin and a food pilgrimage to the Emilio Reggiano region of Italy have been things I’ve been wanting to do for almost a decade. But I’m not going to lie, I’ve really missed Mexico City. Whenever I travel to a new place, I usually get this sad feeling when the trip is over. I get on the plane home and wish that I could stay longer. I can’t ever remember feeling like I couldn’t wait to get home. 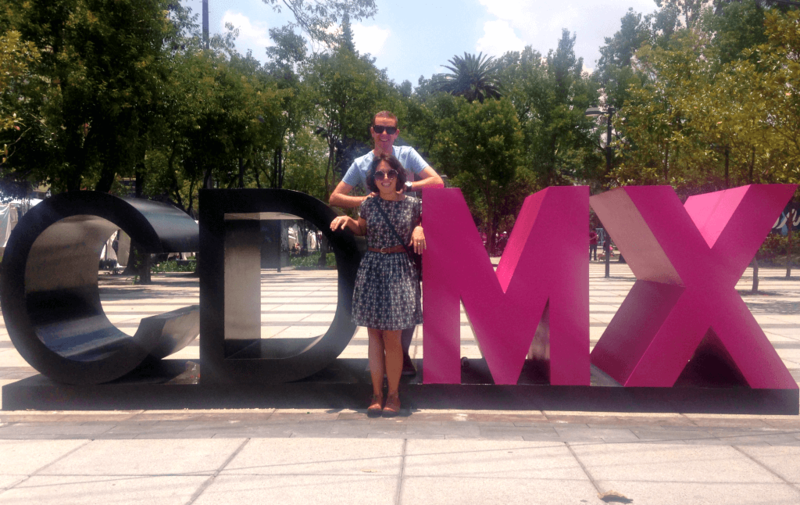 But when August 25th rolled around and it was time to get back to Mexico City, I was absolutely elated. I couldn’t wait to get back to my bed, to get back to my routine, and to get back to my city. 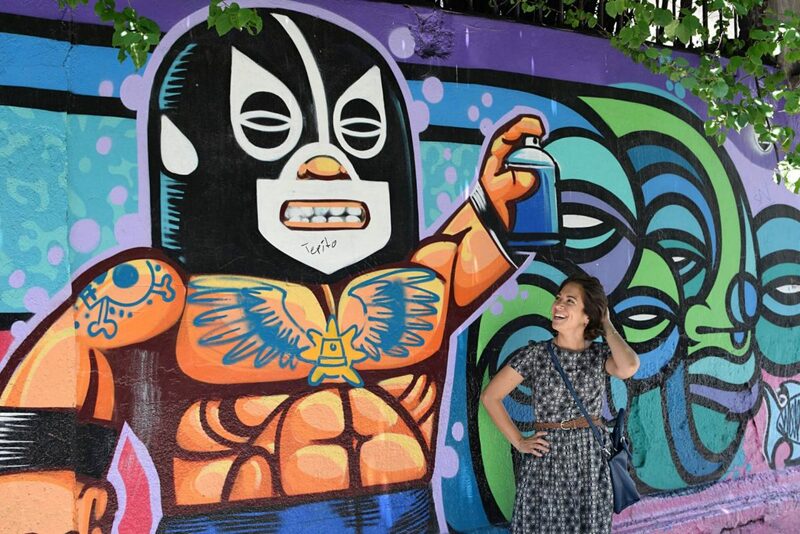 There are a lot of reasons to love Mexico City (and a few reasons why not to love the city), but for me, I have a few personal reasons why this will now be the longest I’ve ever lived anywhere in my adult life. Last year I talked about how I really wanted to up my Spanish knowledge. It’s definitely not progressed as much as I would like and I have come back this month ready to tackle some serious studying. After living here for two years, I still struggle with certain situations, and I don’t feel 100% comfortable carrying on long conversations with native Spanish speakers. That’s something I really want to change and while I could live in any number of Spanish speaking countries, Mexican Spanish has been some of the easiest to learn (thanks to how slowly people tend to speak here, especially in Mexico City). I want to challenge myself more, I want to start speaking a lot more, and in my little neighborhood where everyone knows me, I feel really comfortable messing up and practicing because people are so understanding. One of my biggest goals for the next six months or so is to really get over the intermediate hump and start feeling more comfortable speaking Spanish every day. The food, Oh, the food. There is so much I missed about Mexican food while I was away. 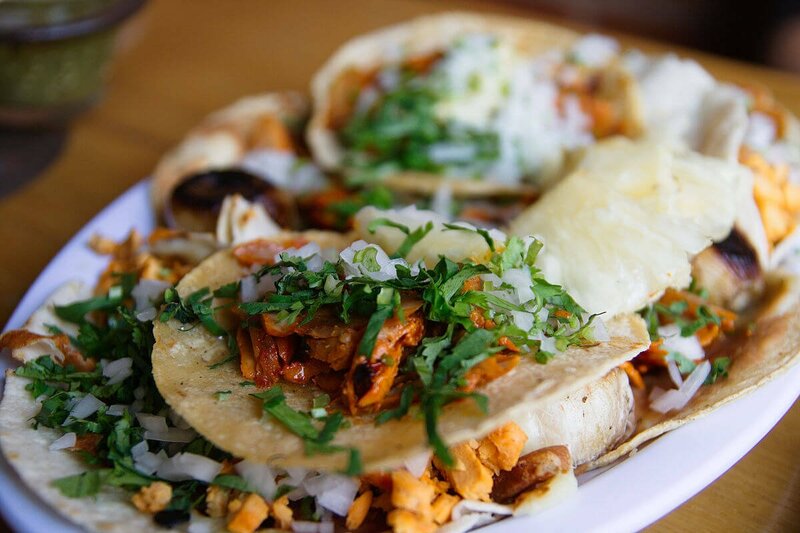 Fatty pieces of carnitas, crunchy chicharron, greasy late-night tacos, greasy late-night tortas, pambazos, barbacoa, pastor, chilaquiles, and tostadas. The list goes on and on. But it’s not just the tasty treats that you can get all over the city for cheap, it’s also the access to fresh and delicious produce. I’ve missed the juicy mangos, the buttery huitlacoche, the flavorful tomatoes. There really is nothing better than fruit and vegetables that have taste and I’m not going to lie, in all of my travels this summer, nothing could compare to what I buy at my local tianguis. I’m not done telling people about this amazing city and the best way for me to do that is to be here. I think there is still so much that hasn’t been written about this city. 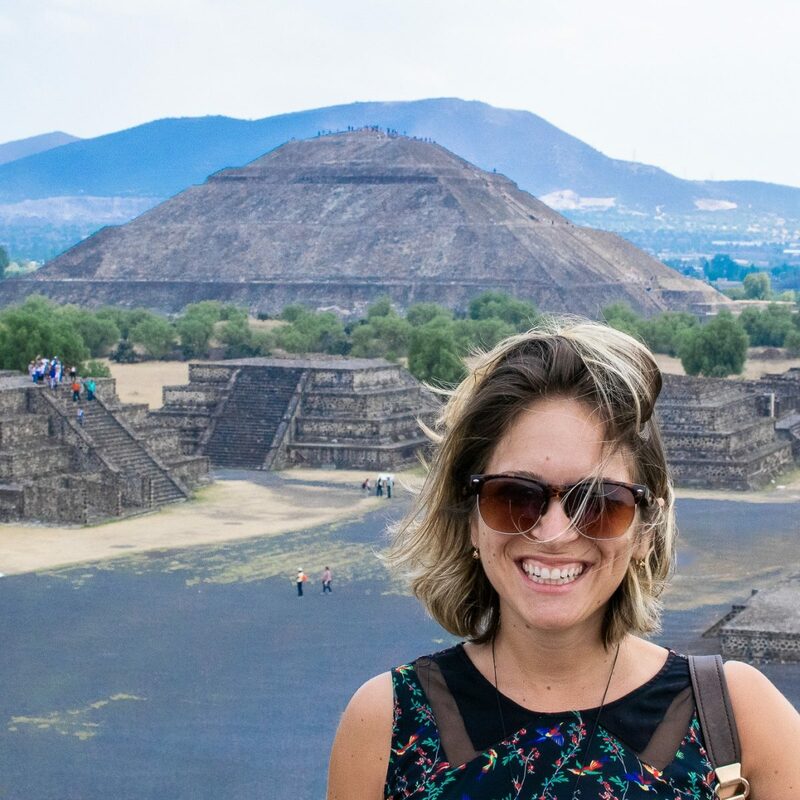 The popularity of my blog posts and my recently published Mexico City Guidebook prove that people want to know more about this incredible city and I love being the one to share that information with you guys. 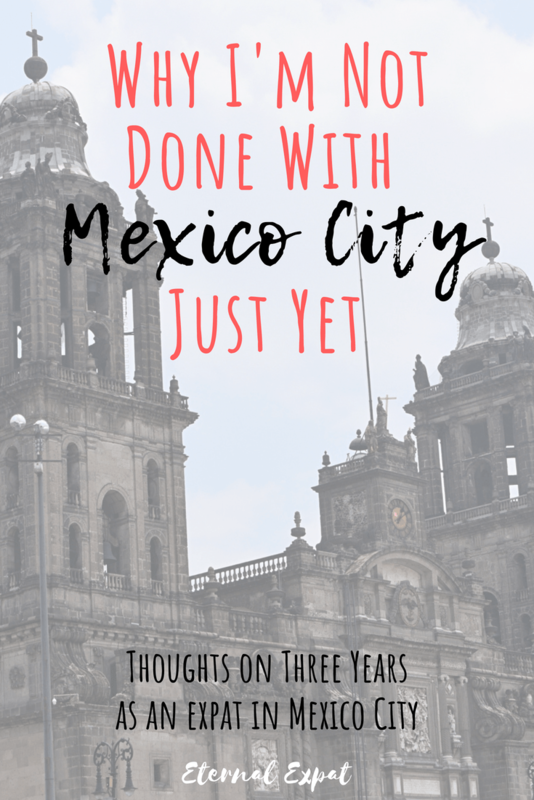 I’m really looking forward to learning more about Mexico City and telling you all about it. I have a list of blog posts a mile long that I want to write, tons of places that I’ve researched and want to visit, and SO MANY RESTAURANTS that I still need to eat at. It’s a tough job, but I’m willing to take on the task. After seeing how expensive things are in the UK and around Italy, after talking to friends back home who aren’t 100% happy with their jobs or where they live or how much it costs them to buy a week’s groceries, I couldn’t help but think about how lucky I am to call this city home. It’s not just that things are cheaper here. 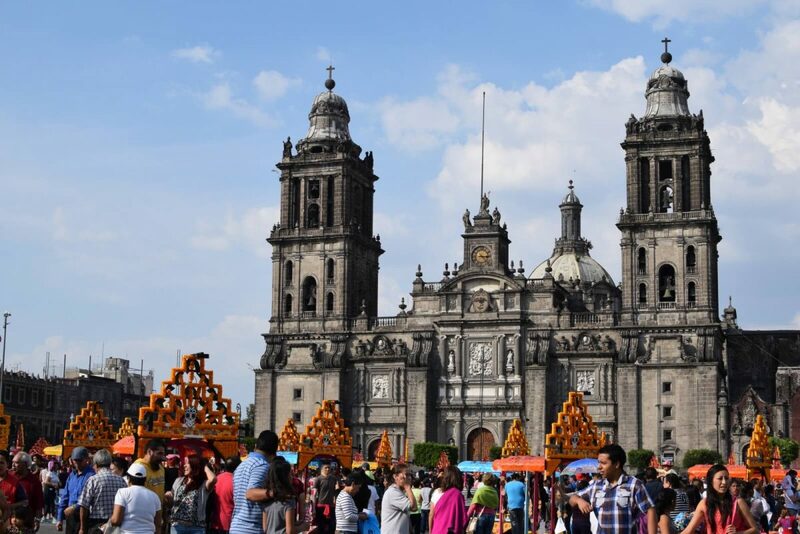 Sure, the cost of living means that we have a lot more disposable income than we would if we were doing the same jobs in a more expensive country, but it’s what’s on offer for your money that makes Mexico City such an amazing place to live. It’s home to so many incredible museums, great restaurants with more cropping up every weekend. 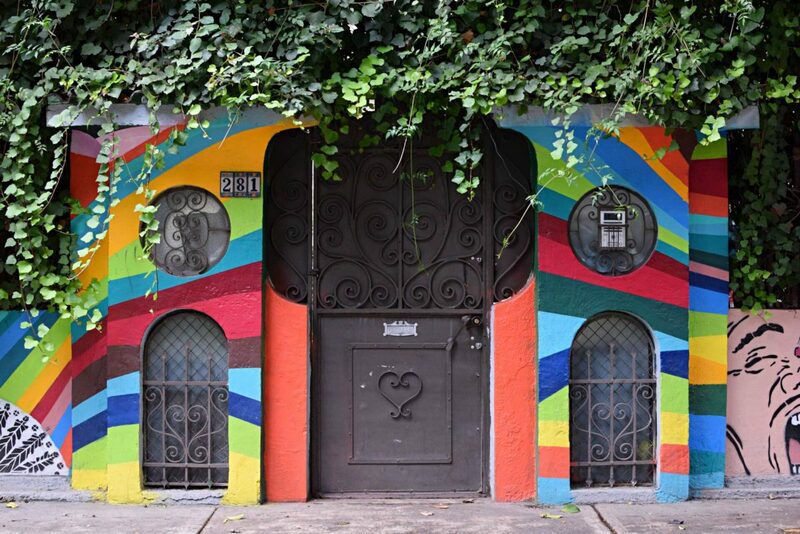 There is so much history here, so many side streets to wander. It’s the food culture and the camaraderie of people, even in a city so big. I live in a small neighborhood just outside of Mexico City. When we got back the other day, we had to pop to the store to grab a few essentials to get us through the weekend. Terry, the woman who runs the shop, gave us a huge grin, waved us in and asked us where we’d been. I love living in that sort of community. The weather is fantastic. Even though it’s the wet season right now, it’s still hovering somewhere around 70 degrees during the day and only dropping to about 60 degrees at night. It is never crazy hot and it is never too cold. It is seriously my ideal temperature for 80% of the year. I think the thing that really resonated more than the quality of life, more than the food, more than the need to improve my Spanish, was that when I got out of the Uber in front of my apartment, I felt like I had really come home. It’s funny. I’ve met other expats in the past who have told me that they knew as soon as they arrived in their new country that they were “home.” They had this incredible sense that they’d finally arrived in the country or city where they truly belonged. I felt such jealousy. I had never arrived in a country for the first time and felt instantly at home. Not even here in Mexico. But being away for such a long period of time really made me miss this place. It made me realize that I’m definitely not done here yet. It made me miss my plants, my friends, all the lovely people in my neighborhood. It made me miss my apartment and my bed. Maybe I’m just getting older and have started to feel a need for comfort and stability, but I know deep down that it’s not just that. There’s something about this city that just gets under your skin and you have to stick around for a while to figure out exactly what that is. I can not wait to live in MEX. I have a few years left here in the Chicago area & I can not wait to live a good portion of the year in MEX. Every time I land in that great city, I feel glad I’m home. How exciting! I agree, it’s such a fantastic city.